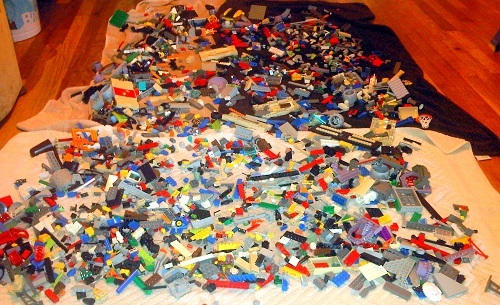 Imagine getting all these LEGOs for just $25! I was kissed by the God of Shopping that day. 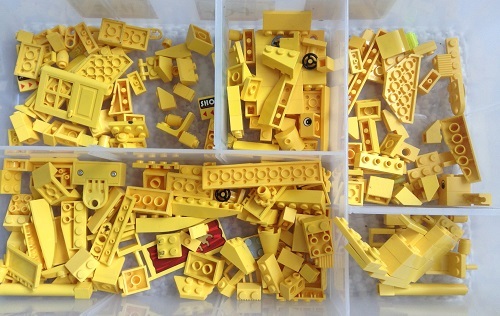 Once upon a time, I bought a HUGE bin of used LEGOs for just $25 dollars. It must have been over 15 lbs. I was so happy. It was disgustingly dirty though... I had to wash them three times in my tub. The previous owner had a cat and I'm allergic. That was hard. But I did it for my kids. Number 1 Son loves LEGOs. 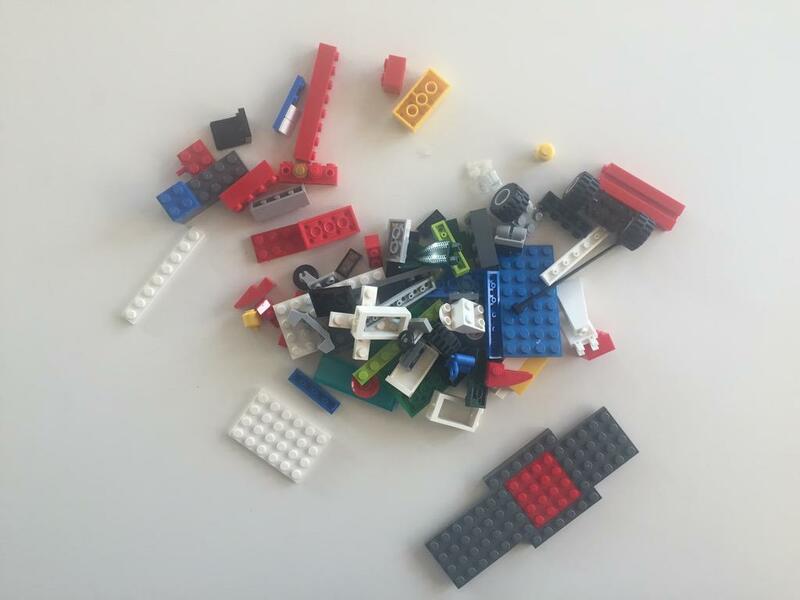 So many children do but do parents and teachers love LEGO too? Maybe, but how about buying LEGO? I am not in love with shopping for LEGOs- it's work! For one, those sets make me crazy. 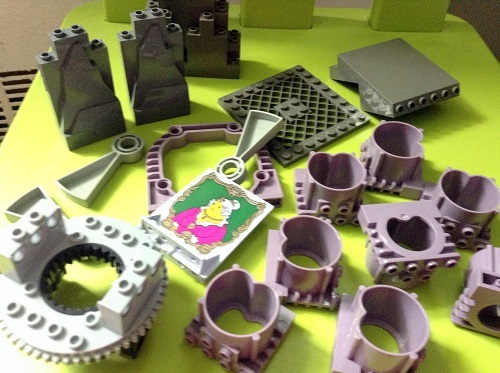 They are so expensive and after they fall apart (because no child will let you glue them), there are many pieces that are not open-ended enough to inspire more building. I am in love with helmets! Look at those goggles and the garbage can too! And the jail door! Awww! Don't get me wrong. I think LEGO bricks are super cool! I am a sucker for anything translucent and those miniature replicas of real-life objects steal my heart. (we have videocameras, pizzas, goggles, alligators, etc) I love them just as much as I love those porcelain bathtubs of handcrafted wooden dollhouses. To me, LEGO is its own language - like visual poetry. However, what really bugs me are these sets. That is why it can be challenged as an educational toy because I've seen kids just build and not build some more. 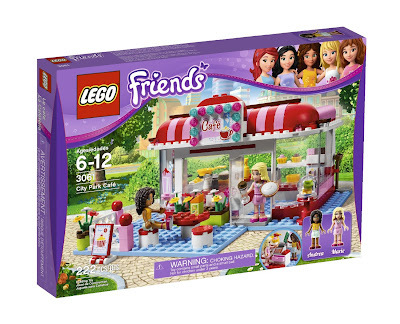 While I admire the themes and are just as wowed as you are when your child builds a complex set, I can't help but think that we are not getting as much as we should be getting from LEGO. I really wish it was more about the plain bricks. Did you happen to see Fat Brain Toys blog post showing nostalgic LEGO ads. I loved it! I was sorting through our stash this month and I was greatly disappointed in seeing how only a small minority of them are actual bricks. (Our stash weighs approximately 20 lbs!) 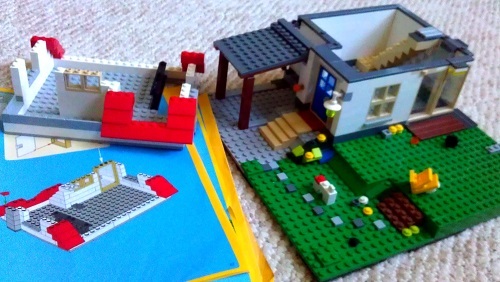 Really, it's embarrassing and moreover, it's frustrating because I have two kids at home, one who is quite LEGO proficient and the other is not so proficient. This is one drawback of being the second child. You never have time to become gradually familiar with a building toy. There aren't even enough simple bricks after you start buying set after set. Instead you inherit of big mass from big brother and if you didn't pick up the "LEGO language" quickly, well, then you need a translator! I have about 7 of these bins and only one is filled with 2X2, 2X4, and other 2X? bricks. That's ridiculous! I promise to write more organizing tips in another story. I've snagged some good ones from other parents to share with you including Chris' salad spinner idea! Thank you Chris! From the cat dander bin too. Sounds like a job for the Brick Detective! Can we find all the pieces? How? Yes, you can get lucky at thrift stores but you can really increase your chances by shopping Goodwill online! I honestly don't think you can get a better deal at buying used LEGO bricks anywhere else. For sure this beats many eBay offerings hands down. Why is it a better deal? 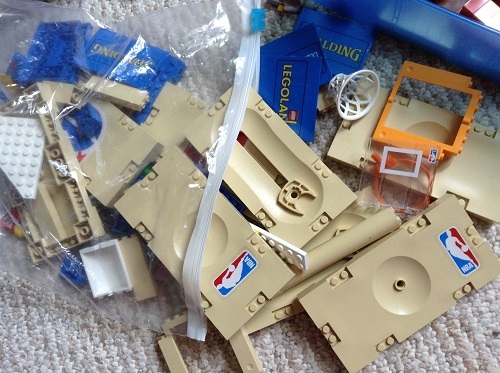 Because buying used LEGOs is quite predictable in the sense is that is kind of disappointing. I don't really find "deals." 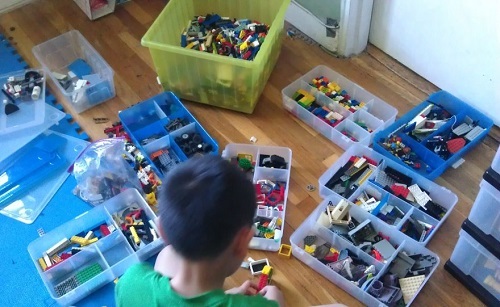 Sure they are cheaper than buying new LEGOs but it's not really comparable because you would never buy a mish-mosh of new LEGOs from various sets, right? What would happen if you get a whole bunch of "special pieces"? Your child may not be familiar with that set/theme and thus may not know what to do with some of those pieces. Those are usually the big klunky pieces that just take up space. Find out what they are and use it or give it away. The purple things are the worst! These might be from a Harry Potter set. What are we supposed to do with them? Got these in the cat dander bin too. My kid is selling this bridge to me. Not giving, selling. I've created an Entrepe-Monster. Who started this? Me, but I had help. Check out Megan Rothrock's The LEGO Adventure book in the background. Just one look at this bridge and he made his own. LEGO enchants many kids but not every kid. There might be someone willing to sell it to you or just give it to you if you just start a discussion in your online parenting groups about how you would like to buy affordable LEGOs. If you are looking to give it to a classroom or community center, mention that in your query. You never know... For us, we've seen a lot of generosity from fellow New Yorkers. I'm so grateful. Another important tip is to just ask for stuff they want. Make sure you give the G-Parents the product number too. 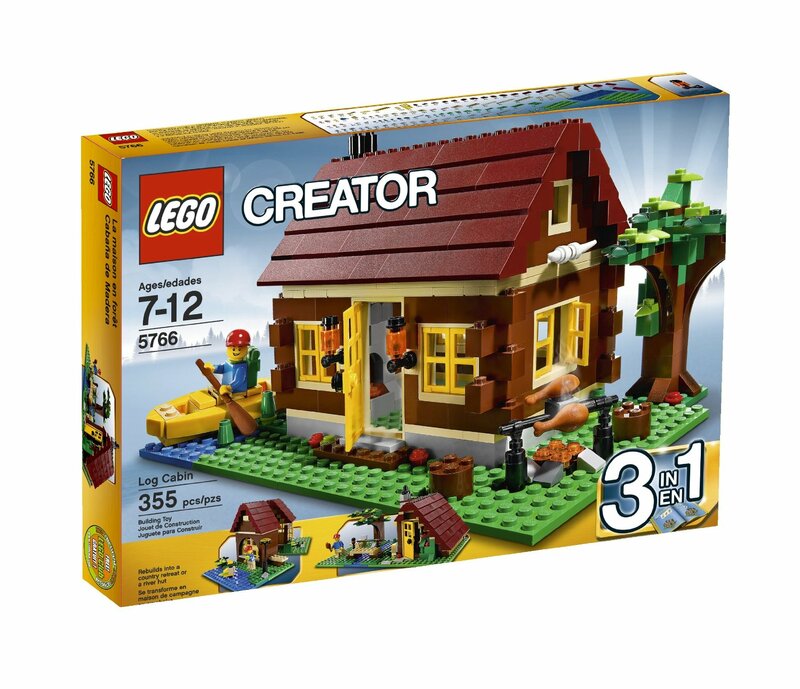 Try looking up LEGO Creator House and see what happens. Be kind and give the number. It's simple but Number 1 made color directions for this creation (on one sheet only! hooray for executive function skills!) and sold it at his school flea market fundraiser. He was beaming with pride! 4. Look at the Big Picture- Be Smart! If you found an enormous deal but spent 30+ hours to find it then you should be getting them for free. Once you have taught yourself what is the actual MSRP, you should be ready to act when there is a good sale. Note: Toys 'R Us prices may be higher than MSRP so do the math when you shop Buy-One-Get-One-50% Off. You will also find periodic sales or loyalty points at your neighborhood retail store and money spent there saves you time and you invest in your local economy! There is also the LEGO store/LEGO.com and you'll probably find some deals at Amazon, Target, and Walmart. (Please note, I've seen Amazon listing prices above MSRP too). LEGO.com will show you actual MSRP. When things become retired, it might be much cheaper or much more expensive. Also, you might save by doing Store Pick-Up as sometimes the online prices are lower at some retail stores! Want to save money? 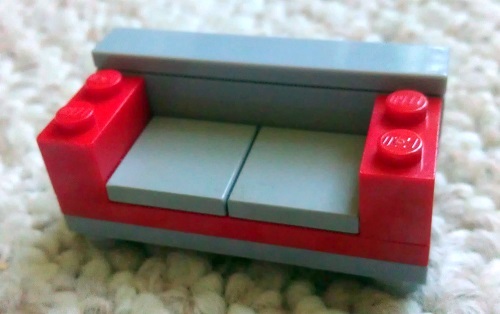 Get your kids to create and SELL their LEGO beauties like this couch as explained on Lego.com's design pages. Show them how to make a profit of their hard work but be wary, they will likely become more addicted. Read Carefully- They will likely write that in the description -"this is a picture of a random sampling". Also be aware that you may not be getting "only" LEGOs. If you don't want to see Mega Blocks in the bag, read carefully. 6. Buying by the pound? Understand that LEGO comes in such varying sizes that you really don't know what you'll be getting and how much. It could be anywhere from 150 to 400 pieces in a pound, depending on the size. Some folks say that you should buy them about $7 per pound including shipping. I once bought 1,000 pieces at $20 and I was so incredibly disappointed. Maybe I shouldn't have been but with bricks, quantity does matter. When you are buying used stuff, you want to feel like you got an awesome deal. 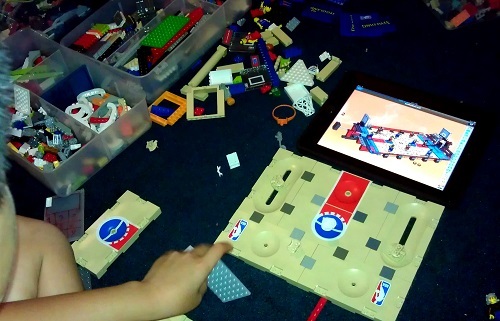 Integrate your other toys with LEGO. We don't encourage that enough here. We should. If you are buying new, you can still reflect on the weight- a little bit at least. LEGO is so marvelously cute that it's kind of deceptive how expensive they are - especially if you are buying sets! 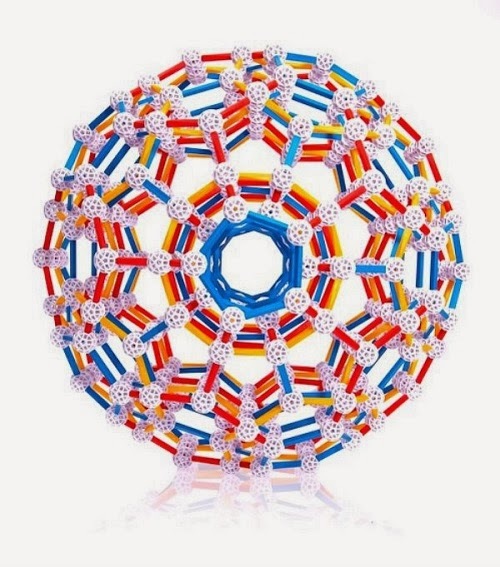 Pound for pound, magnetic toys like Magnatiles (many moms will say these are pricey) are usually cheaper than LEGO sets. Boxes of just bricks are cheaper (by the pound) but only by a little. It's good to show kids that actual people design these works of art. I think they forget that. 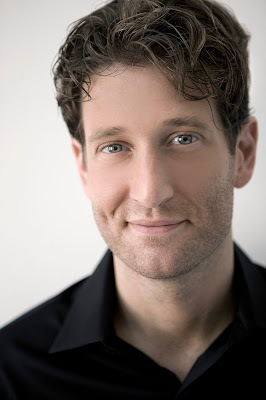 Nathan Sawaya; photo courtesy: brickartist.com Do you have a question for him like.. was your mom mad at you when you gave up on being a lawyer to make stuff with LEGOs? 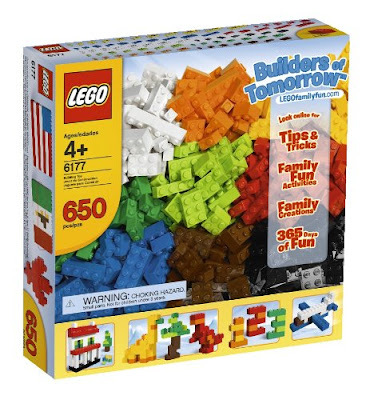 As your kids grow up, they won't want to look at a house with 6 different color bricks but I don't think they realize that this is why they aren't satisfied with their LEGO stash. This is one reason why they veer towards the kits. Their tastes are more complicated. They want art! But instead of crying as you buy set after set, try committing to a couple of colors and just keep buying those. 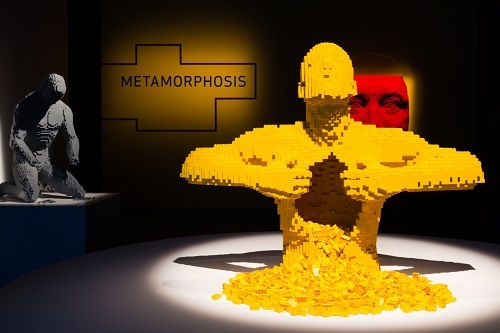 Get inspired by Nathan Sawaya's Book: The Art of Nathan Sawaya or visit The Art of the Brick Exhibit at Discovery Times Square. If you'll be there on Sunday August 3rd look out for me! 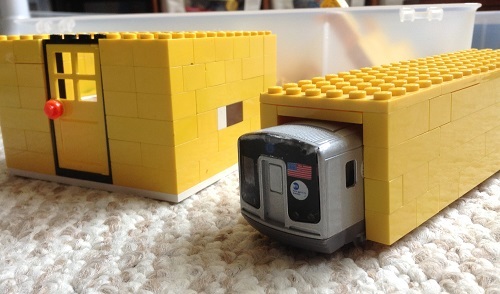 Read more about Nathan Sawaya in my last post about LEGO Cuusoo and Small Yellow. Try the LEGO Adventure Book by Megan Rothrock. Get them inspired, let them create their own thing and then sell it! What an awesome lesson. If you ever want to save money, tell them to think like a designer and let them experience what it means to sell an idea by trying to sell their own! My kid donated his creation to the school weekly flea market. While he didn't profit personally, he got major compliments at school. (WIN!) He's making a name for himself and hopefully he'll get custom orders! Hooray for geekiness! 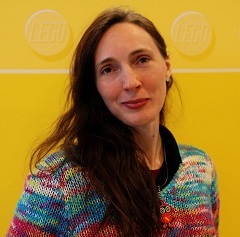 Megan Rothrock: Her next LEGO Adventure book is coming out this year!!!! Do you have questions for her? 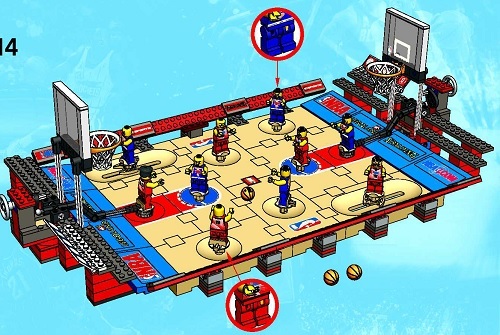 Like... how did you get your job designing for LEGO? Can you hire my son as an intern- I will even pay you!? Getting a child to look closely and really examine subtle differences? I love that- he's actually holding a little tiny robot claw for Brickbot in this photo. Thank you Megan Rothrock- we love Brickbot! It's free advice but make sure you do the math! You will hopefully have better luck than me because it is confusing! Most sellers are pros but once in a while, you might get someone looking to unload a stash. Be ready for that. Have pieces but don't know which kit it is from? If you think they came from one household then chances are that you have lots of the pieces of that kit. 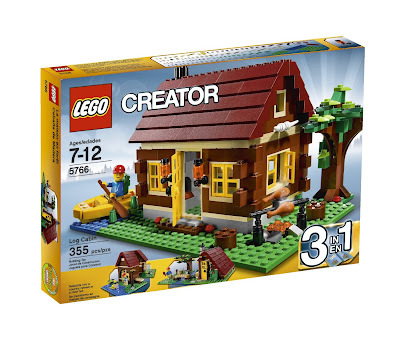 If so, then just go to this LEGO Building Instructions page, punch in some keywords and see what you can come up with. Maybe you're only missing a few pieces and it might be fun to build something this way. Also, keep those instructions! Some people actually sell just those! Right now we are putting back together our LEGO Creator Hillside House. It's keeping me from shopping. 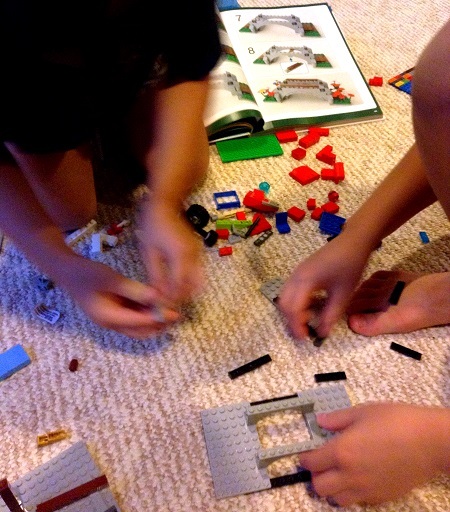 Updated: 7.31.13- Thanks Bridget for the link to find instructions for older LEGO sets! You rock! Screenshot of instructions found online! Now we can really play! To sum it up: It's really hard to save money when you love something that is not cheap. We must face the music. They are really so darn cute. But if you can share with your kids how to really value them, perhaps shopping for them won't be so depressing and you will spend less money and energy on them. Knowing their price and their potential for self-expression will help the kids understand why they should take care of their pieces. And when you are done with them, store them away for the future grandkids (with instructions too)- thankfully, LEGOs are pretty small. Just Bricks Baby! That's a good deal still. Winner can choose this! 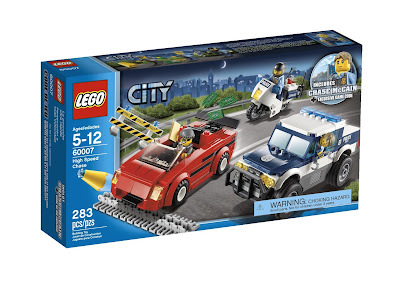 LEGO City High Speed Car Chase 60007 This is a choice too! There are tons of ways to enter! Good luck! If I have lit a shopping spark in you... I'm sorry! 'Tis a bad habit o' mine. But do use my link at Amazon if you plan to shop from there. Remember your neighborhood toy stores as well! 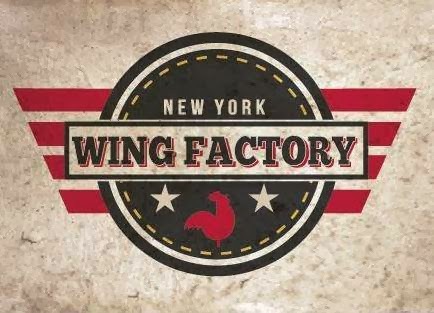 Invest in your local economy- it's money back to you someway somehow! Here are some of the links to books and products I've mentioned. Disclosure: Toys are Tools has not been paid by any of the aforementioned parties to write this post about saving you money. However, Toys are Tools has been given admission to help facilitate a review of the The Art of the Brick exhibit. Additionally, the LEGO adventure book was also submitted for review - stay tuned for interviews! Send me questions to ask them. I would love to know what would be the best set of Lego's for a 5 year old boy who is just starting be interested in them. Where should we start? I'll ask this question on Facebook. I invite others to answer Mary's question! We'll get you an answer Mary! Promise! Thanks Anne for sending this in! It looks amazing! What a handsome kid! I can't believe he doesn't use any directions. How cool is he! Please send a photo of the floss minifig organizer. That sounds wild!!! Thanks to Kasen for sending this in! I love this! You inspire me. Great giveaway and post. BTW, one of my favorite reviews is for the Red Toolbox Set: http://www.toysaretools.com/2012/12/redtoolbox.html - Getting this for my daughter for the holidays this year. Thanks for submitting this photo Crystal! I love this picture! Thank you to Amy who suggested LEGO sorting by color. My son liked this a lot. I think I need bigger bins now.... sigh... It looks really pretty and it's so easy to sort! Funny that I came across this post today as my 4 yo son just discovered his new obsession today ... LEGOS! He made his first model from a set and then later used his imagination to create a castle for us to live in. He was so proud! I would love to know how Meghan got into the world of toy design. 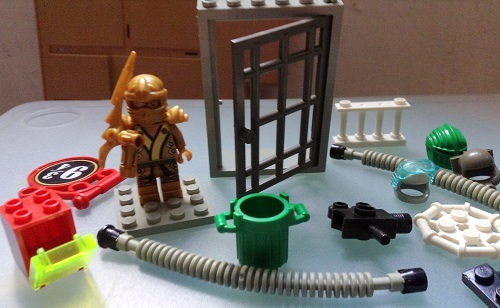 As a pediatric OT I have many ideas for toys or suggestions for improvements. I often visit the NYC Toy Fair just because I am so obsessed with toys. Since we need to optimize on space we will be using a large underbed box divided by drawer organizer boxes or these customizable strips http://www.containerstore.com/shop?productId=10000691&N=&Ntt=drawer+dividers. For a cheaper alternative I have seen people create drawer organizers with the bottoms of milk/juice containers and/or cereal boxes. Christine, I hope I get to tag along with you on your next Toy Fair visit! I will take notes of everything you say! This is another one from Amy! Thank you and Wow!!!!!!!!!!!!!!!! Just had to post this. It was made by my friend Margaret's friend. I think this is the YouTube link to learn how to make it. http://www.youtube.com/watch?v=ZhHWMf6bWGo Dare to dream! My question for Nathan Sawaya would be: from what I see your work is primarily sculptural in nature; have you ever considered doing architectural works, something permanently part of a building for example, like an archway? Thanks Faye for sending this in! Very cool! Thank you Tamala for sending this over! I was just telling my husband, why don't you glue it when done putting it together. He said the best part was taking it apart and creating something new. Thanks for A. for sending us your creation! Thanks Christine for sending us your organizing scheme! Very impressed! I am so sorry this is upside down. computer. not. cooperating. Forgot to say- thank you to Tristan and Louise! Favorite review will be the post on mastermind games. 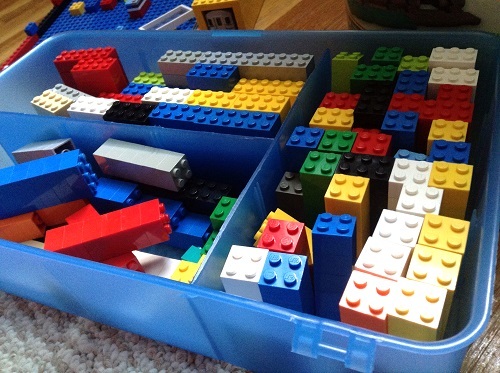 DH and I used to separate our son's Lego by types and then by colors/categories. As he gets older, he started mixing them up and build them as far as his creativity takes him. We now sort them into cubicles by Lego types; i.e. Lego City, Star Wars. etc but I am seeing it will all go into one big pile soon! However there are a few pieces e.g. 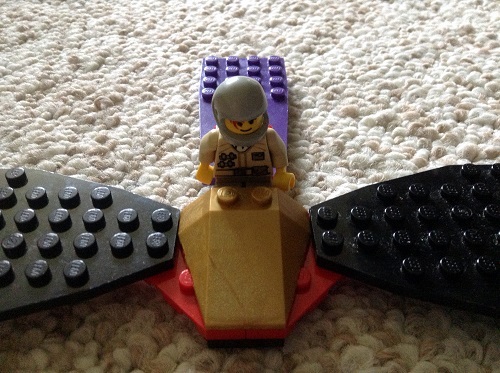 like the Millennium Falcon, X-wings are on display and not mix into the Lego pool!